Looks like it might be time to start prepping for a meatball invasion. 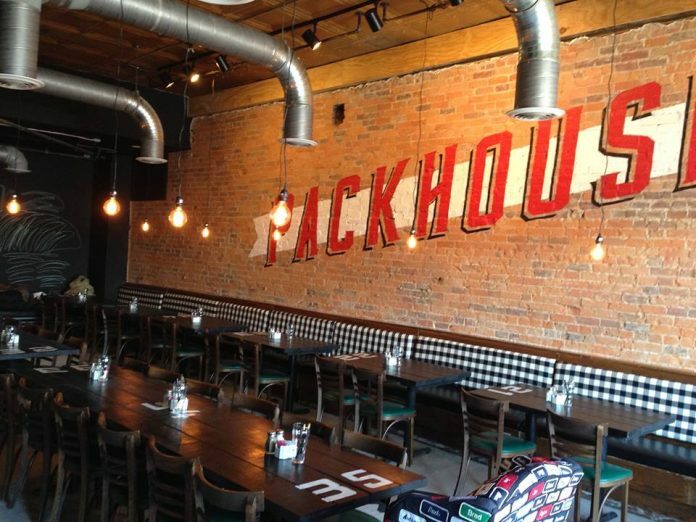 Packhouse is the second franchise-ready meatball restaurant to open in the area in the last month. Unlike Clifton’s Meatball Kitchen, which is more fast casual, Packhouse is a full-service sit-down venture, expertly branded and decorated with vintage industrial bonhomie. Both meatball joints are similarly priced, and happy to offer the balls minus their traditional pasta partner in a variety of incarnations. However, the menu at Packhouse offers so many sides (everything from cheesey polenta to cooked broccoli to seasonal salads to Boursin mashed potatoes to, yes, pasta), sauces, and add-ons that navigating the menu can feel like a choose your own adventure novel, so hit up the waitstaff for recommendations. The beef ball (or “pack”) with marinara is a classic crowd pleaser, while the quinoa-based, deep-fried vegetarian version resembled a well-seasoned hush puppy, both in flavor and appearance. A rotating selection of craft beers on draft complement a fixed list of domestics. A small selection of wines are available by the bottle. Also worth noting: the no-tipping policy. Our waitress assured us that she “was well taken care of,” but old habits die hard, especially for food service veterans, so we still left a few bills on the table.